Building and sustaining meaningful relationships with outsourcing and contract firms are paramount. In today’s business environment, it is easy to get caught up in routines and to-do lists and forget about the actions and relationships that support your business needs. This happens to the best of us. Life happens. Business happens, and somewhere in between, it is easy to take for granted the people that help to achieve so much. The purpose of this article to provide you with three gratitude strategies to show your outsourcing or contract firm appreciation with the hopes of helping you nurture stronger business relationships. At Viral Solutions, we understand the trials and tribulations that many new owners of small businesses face in the early going. The commitment of time and resources that is necessary at the outset can leave many business owners frustrated or exhausted. We’ve experienced this ourselves in our own business operations, so we know just how unpleasant it is and how it can come close to crushing the motivation you had that led you to start the business in the first place. At Viral Solutions, we help overwhelmed small business owners duplicate themselves – so business can be fun again! 1. Reflect. It is easy to get caught in the motions of life, and it stays stuck in those motions. The ability to reflect on where you are today and the people that have helped you to get there can generate an immense about of gratitude. Take inventory of the people and actions that make a difference to your business. Think about how your outsource or contract partners have helped along the way. Think about the investments involved helping along the way. Reflection is one of the best ways to generate gratitude, and it also a useful tool for delivering and expressing particular instances of appreciation to the individuals or firms. 2. Act. Reflection helps to see and feel gratitude for actions and individuals that have helped you along your business journey. Thinking helps you to identify particular instances and outcomes to share appreciation. You can use that reflection to communicate your appreciation. There are many ways of expressing gratitude: words of appreciation, gifts, quality time, or servitude. Determining the best fit may boil down to your understanding of the professional relationship dynamics. For example, one contractor may prefer a simple email saying thank you for your dedication to helping our team develop a new website over the last three months and acknowledging the time, commitment, and professional level of work done can go a long way to that contractor. It can help to strengthen the relationship and builds confidence with the contractor that you respect and appreciate his or her service. Examples: Customer Spotlight, Thank You Discount, Special Gratitude Event, or a simple Thank You Note. 3. Journal. Keep track of people that have helped you along the way not for keeping tabs purposes, but merely to show Gratitude. The gift of gratitude continues while writing and it is an excellent tool for you to reflect, and perhaps share that Journal or excerpts of that Journal with the individuals, teams, and firms in unique ways. The ability to track the specifics helps you to remember and show express appreciation. That specific recognition contributes to meaningful emotions that strengthen professional relationships for years to come. For example, A Journal entry about an individual that volunteered her time to help assist a start-up project when you didn’t have the cash flow to hire her helped you get that first project completed, which contributed to secure a sustainable client. The act of writing in a journal, writing those feelings in detail helps you to feel gratitude, and helps you when communicating appreciation with the individuals. Often, people don’t realize how big of an impact their actions have on a person or firm, and acknowledging what may be “small” to someone, was much more to you is a great way of reaffirming appreciation. Life happens, business happens. It is easy to get caught up in the business rat-race, but it doesn’t have to happen. 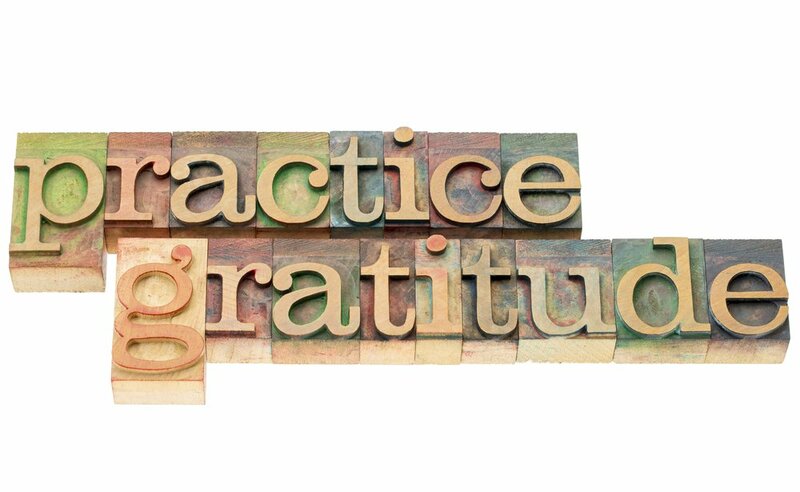 Practicing the daily art of gratitude helps to you remain humble and gain perspective on individuals, teams, and firms that have helped you get to where you are today. Reflection of the people and actions helps to foster the emotions of appreciation and identification of specific instances that has impacted you. Recognizing through action can help to build stronger relationships and let people know that you are thankful for specific actions he or she has helped you with along the way. Journaling such instances helps you to practice gratitude and can serve as a great reference for thanking others.